Davidoff presents two new limited editions of the famous Cool Water fragrances for him and for her, dedicated to summer of 2012. These new releases are named Cool Water Pure Pacific for Him and Cool Water Pure Pacific for Her, inspired, as their name suggests, by the Pacific Ocean, its energy and power. 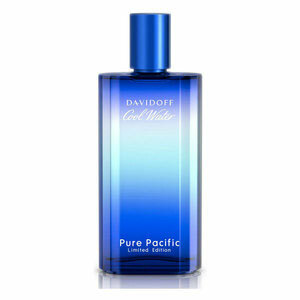 Cool Water Pure Pacific for Him blends fresh citrusy notes with aromatic herbs. The top of the composition bursts with lemon, mandarin and grapefruit. The heart includes basil, sage, ginger and mint, while the base is woody due to accords of juniper, sandalwood and vetiver. The composition is signed by Philippe Bousseton.